The Golden Triangle – Ignore It at Your Peril! No, we’re not talking about the imposing architecture of Pittsburgh Pennsylvania’s Golden Triangle! We’re referring to the Golden Triangle of successful church building projects. Must all be in creative balance. If not, the project simply does not move forward! 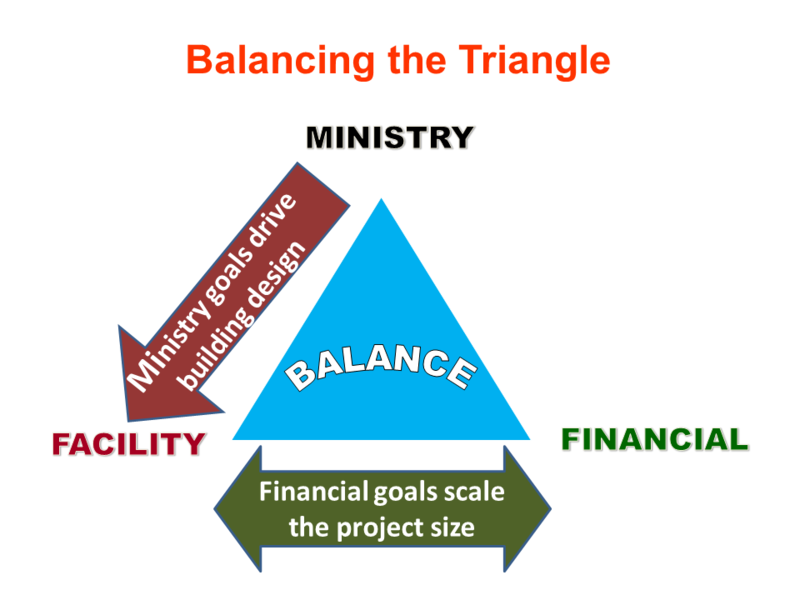 All too often, church building committees initially focus on the ministry and building design “points” of the triangle and neglect the financial resources until way too late in the process. It’s not that they totally ignore finances, but the ministry needs and building design tend to be the more exciting aspects of the early planning process and thus get most of the attention. We’ve often observed, sooner or later there is a financial “reality check”. It usually occurs after considerable time and effort have been expended by the design professional and after the unaffordable design has been ceremoniously presented to the congregation with great fanfare. At this point, going “back to the drawing board” is financially costly for the design professional, emotionally costly for church leaders and not fun for anyone! Our advice – balance the Golden Triangle correctly from the start of the project. Reasonable financial estimates are readily available which can easily get your project budget “in the ballpark”. There is much greater potential for the project to keep moving forward when you obtain a realistic funding estimate at the beginning of the design process. 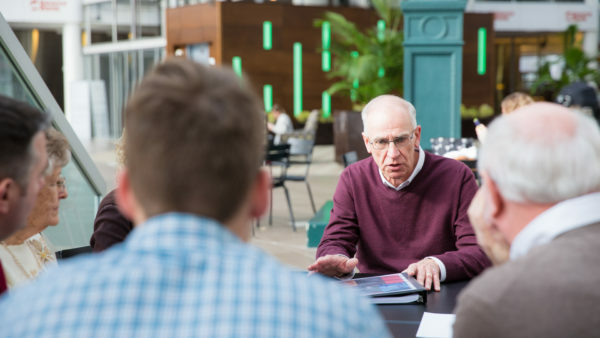 Giving attention to the financial point of the Golden Triangle will have benefits for everyone; the congregation maintains momentum for the project, church leaders avoid the emotional downfall and the design/build professionals have a profitable experience.